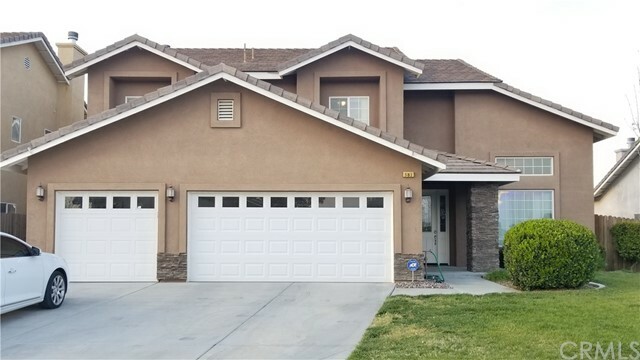 All San Jacinto homes currently listed for sale in San Jacinto as of 04/19/2019 are shown below. You can change the search criteria at any time by pressing the 'Change Search' button below. 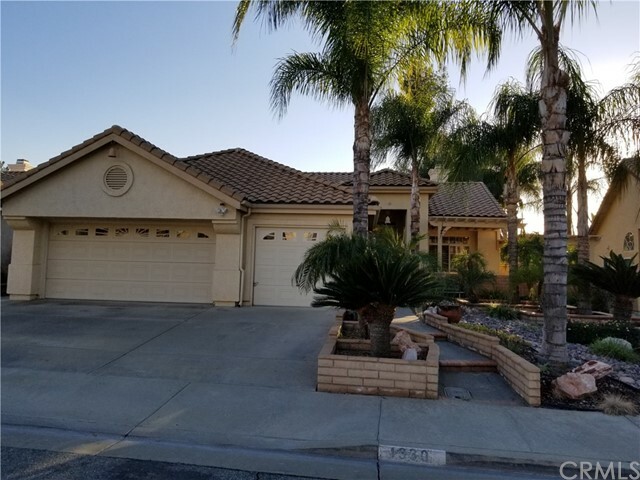 If you have any questions or you would like more information about any San Jacinto homes for sale or other San Jacinto real estate, please contact us and one of our knowledgeable San Jacinto REALTORS® would be pleased to assist you. "Location, Location! 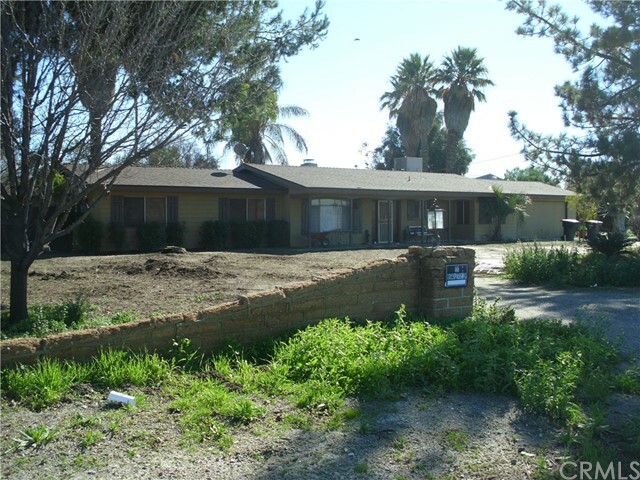 Excellent purchase opportunity for 10 Acres of land, plus a Residential Home. This parcel offers many permitted uses. Zoning is; Residential / Agriculture A-2 (Heavy Agriculture). Great investment factors in this zoning! Also allows additional, Single family Homes. 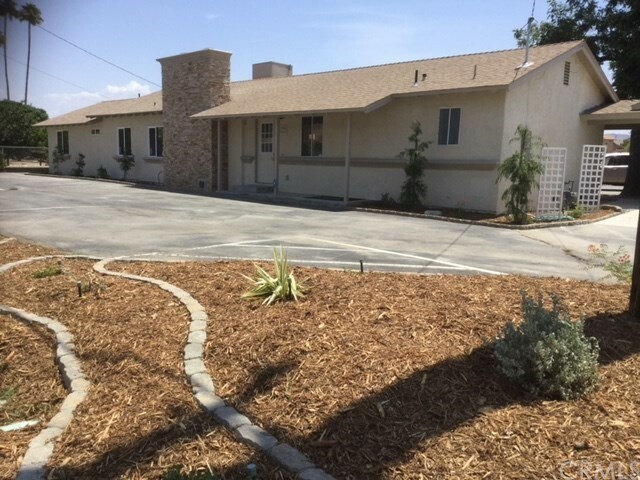 The Residential Property at; 669 N. Lyon Ave., is a Double Wide Manufactured Home. Total 5 Bedrooms + 4 Bathrooms and 2392 Sq. 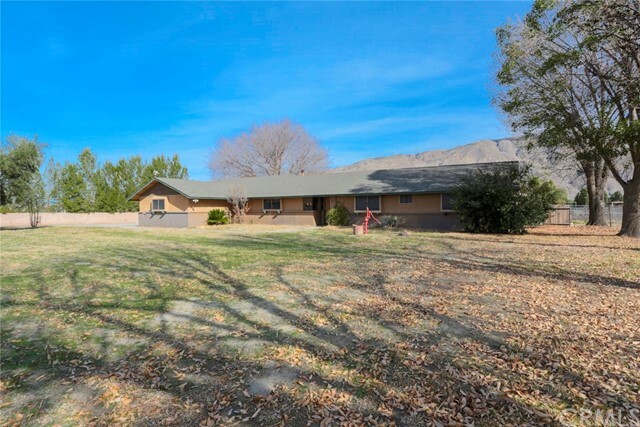 Ft., of living space situated on 10 Acres. The land is all flat and usable. The property is lined by a block wall on the North & South sides; surrounded by fairly new residential development. Easy access to Freeways I - 10, I - 215 and CA - 60 Highway. A great neighborhood, close to Major Shopping, Banks, Schools, Camping, Fishing, Gaming, and Much More! Sellers welcome reasonable offers. Don't let your Buyers miss this great opportunity!" "Path of development! 2 parcels, currently City of San Jacinto shows zoning of SP191. General plan projects for commercial use, buyer to investigate and confirm." "REDUCED AGAIN! Commercial Opportunity!...You won't want to miss out on this opportunity to own this one of a kind horse property that also can be used for a business. According to the general plan it can be used as commercial. All of this is on 2.65 flat, usable acres! Come walk through this spacious 2,734 square foot home, with 3 bedrooms and 2 bathrooms, plus a separate office. Upon entering, you will notice the open concept living and family rooms with vaulted cathedral ceilings. The kitchen offers a center island with a stove, oven and an abundance of cabinets with a generous amount of counter space. There is spacious laundry/utility room with additional storage space along with a 3 car garage. The Master bedroom and bathroom won't disappoint with a walk in closet and a double vanity, shower and tub. The other bedrooms are also very spacious with large closets. Access the built in pool through a beautiful set of french doors leading to a completely separate fenced in area. The large barn and several corrals are ready for all of your animals. You definitely need to come take a look!" "A Custom Built Home. Custom, for the family of all ages. There are so.. many wonderful features in this custom home that would cost thousands in a newly built home. There is approximately 2600 Sq. 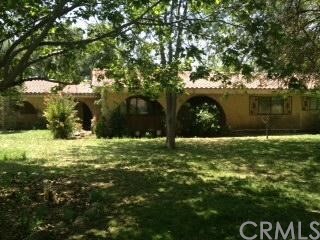 Ft. of open living space, 3 bedrooms, 1.75, bathrooms on 1.75 Acres. The main entryway leads to a large open living room & fireplace. The Hearth Fireplace is full length, offering extra family seating. The Living room offers lots of natural light with the Lg., front window & sliding glass door leading to the covered patio & pool. The main entry opens to the separate family room. The Family room also offers natural lighting with a sliding glass door; that leads to a covered patio & inground pool. The family room offers space and includes built - in, Drop Down Dining or Card Table! Choose to enter the dine in, Galley Style Kitchen from the main entry or family room. The inside laundry room gives access to the; bonus room with sliding glass door and window, pool, .75 bathroom and attached 2 car garage. Ceiling lights and natural light throuhgout. Deep spacious mirrored closets throughout the bedrooms. The lg. master bedroom feeatures his and her deep mirrored closets, ceiling fan /light kit. Double sinks and vanity for the full bathroom. Reading room etc. Pool, tennis court, basketball goal, RV parking, circle driveway. The home is in need of a few cosmetic repairs. The 1 Acre behind the house will allow for another single family home, garden, family business etc." "This is a custom home situated on 1.70 ac, zoned for horses/animals. Fabulous home, many upgrades and renovations, low property tax area, attractive tiles floor, new carpet in all bedrooms, kitchens include two separate stoves, easy access to commuters, the owners wants it sold today. Fully fenced all around, this is a move in ready home, stop the car and see this property, plenty room for all your cars, tools RV, extended concrete driveway, updated granite counters, ceiling fans in most of the home, privacy in back yard fully separated fenced, great home to open your child care business or senior care, perfect for two families that live together and looking for privacy with their own back yard and two bathrooms. This home is a modern construction and a farmhouse with a huge piece of land. Close proximity to the new Casino Resort & golf course. New interior paint, close by the church and schools, neighborhood shopping everything w/in 5 miles. Entertainer's delight with an open kitchen and living area, lots of room to build your pool for this coming summer. Priced to sell quickly, please call to schedule your private tour." "This GORGEOUS home was a former model home, professionally decorated including custom window coverings, all furnishings, area rugs, wall art, appliances & decorative items (except those in office ).As you walk to the front door you'll notice a charming front porch that leads you into the 2 story entry of this beautiful home w/stunning slate flooring, and a sweeping staircase to the 2nd level. The living room is to your right and the dining room is to your left featuring a built in hutch and wine storage. You can walk from the dining room through the butlers pantry into the kitchen w/European tile countertops, full backsplash, cinnamon maple cabinetry, convection oven, stainless steel appliances and a large island w/breakfast bar that is open to the family room. The family room has a custom media niche, surround sound and a cozy fireplace. Just thru the shutters you'll notice an office or den that can be closed off the family room if desired or used as a 5th bedroom if you need it. Downstairs also includes a laundry room w/sink and a 3/4 bath. Upstairs there are 4 spacious bedrooms including beautiful master w/built in dresser, surround sound and a walk in closet. The master bath has a separate tub and shower, dual sinks and a vanity area. There is a 2nd full bath also w/dual sinks and a loft area w/a built in desk that overlooks the first floor. Outside there is a grassy yard gated off for your pets, and a covered patio (patio furniture included). You can just move on in." 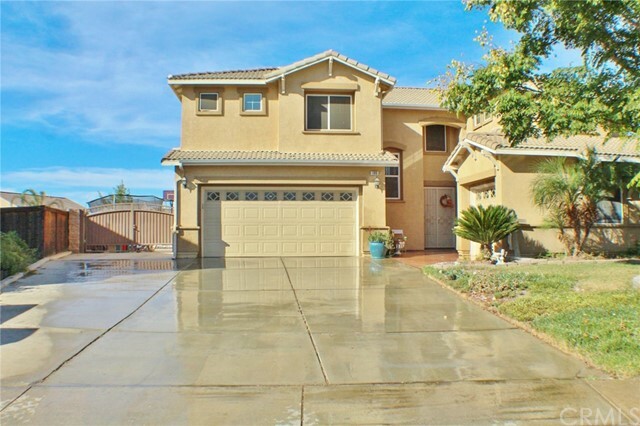 "This is a great family home with a great view of San Jacinto mountains, huge back deck, His/Her walk in closets, stainless appliances! RV parking, water feature, extra garage equipped for hair studio or workshop! This is a great neighborhood! 5 Bedrooms, 3 Bathrooms, WiFi thermostats Mega backyard, Wood flooring, White kitchen cabinets, Granite countertops. Open floor plan, formal living/dining w/ added recessed lighting and dimmer, Tile/wood flooring throughout. 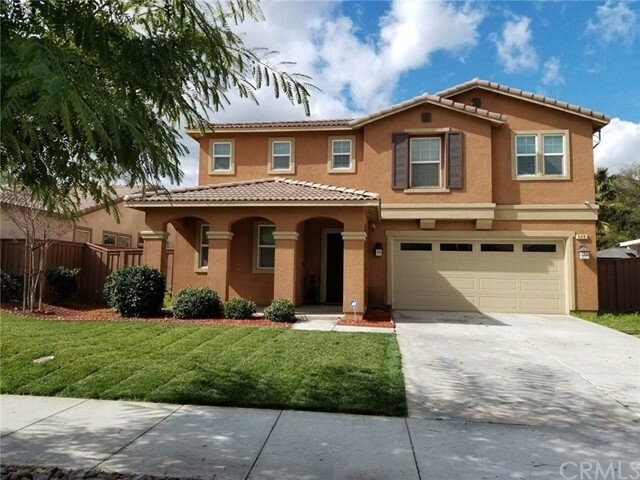 Granite countertop/backsplash, Stainless appliances, White cabinets, shutters throughout 1st floor windows base and upper cabinets in laundry room, master suite has vaulted ceiling with his/ her closets, his her labs, vanity, Back Yard Fire pit, spiral staircase, and fruit tree. This is a rare find, don't wait." "BRING YOUR BUYERS. 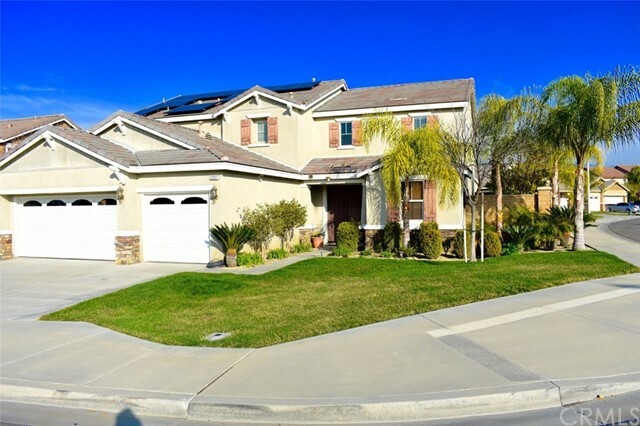 GORGEOUS HOME IN A BEAUTIFUL AREA IN SAN JACINTO. SITUATED IN A BEAUTIFUL CUD-DE-SEC(CORNER LOT), THIS HOME BOASTS 4 BEDROOMS AND 3 BATHS, PLUS A DEN (5TH ROOM) AND A HUGE LOFT!! GORGEOUS BACKYARD AND VERY EASTY TO MAINTAIN.GREAT NEIGHBORHOOD, GREAT SCHOOLS, CLOSE TO GROCERIES AND FREEWAYS FOR AN EASY COMMUTE. THIS HOME HAS EVERYTHING A BIG OR GROWING FAMILY NEEDS. COME SEE THIS HOME BEFORE ITS TOO LATE!" "PAID SOLAR! 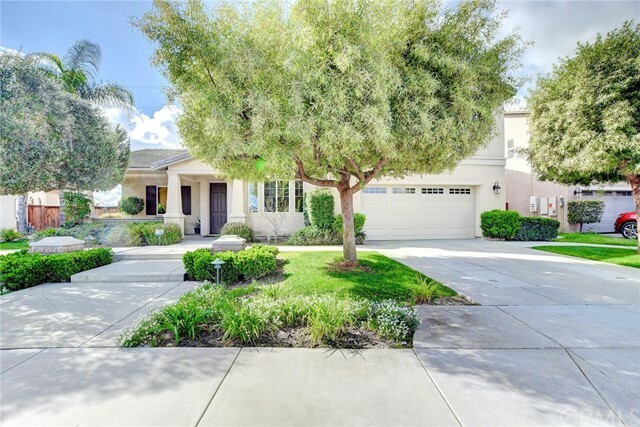 !Someone is going to make an incredible buy on this gorgeous home with substantial upgrades. This lovely home includes a downstairs bedroom and 3/4 bath; a large chef quality kitchen, formal dining and theater possible family room. Upstairs is a loft and two secondary bedrooms and their full bath as well as a lavish master suite with an office alcove, it's bath and generous walk-in closet. The home has been upgraded with no expense spared in upgraded carpeting, counter tops, and finishes. 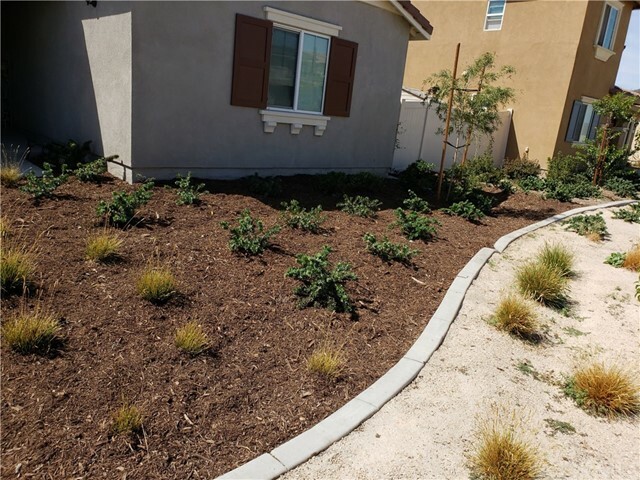 It also has $$$$'s in cost saving utility improvements: two A/C units, a net solar power array; a natural gas generator and gas tankless instant water heater, plus a water softener and filtration system all of which help keep costs under control. Outside is a beautiful patio with a cooling patio cover and barbecue island. You've got to see this house! It has something for everyone! RV parking, three car garage, in a well kept street location." 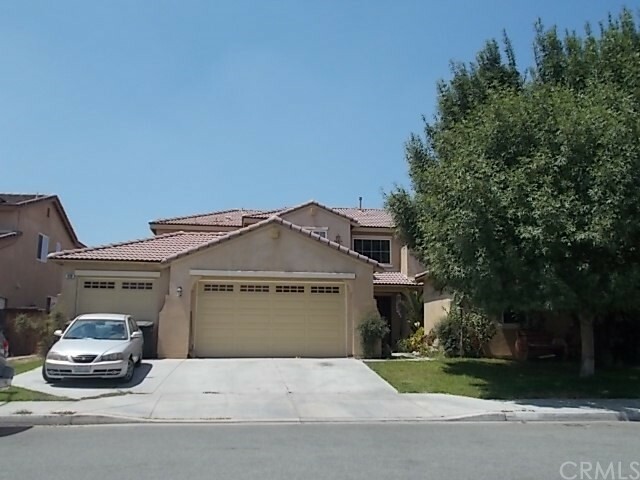 "Beautiful, large 5 bedroom, 3 bathroom house in West San Jacinto. There is one large bedroom on the main floor and the master bedroom along with three additional bedrooms are upstairs. There is also a laundry room and loft upstairs. This home features a 3 car garage and RV parking. It is located less than one half of a mile from a park, shopping center and gas station." "Pool, jacuzzi, plenty of concrete in the back for planning any get togethers or barbecues." 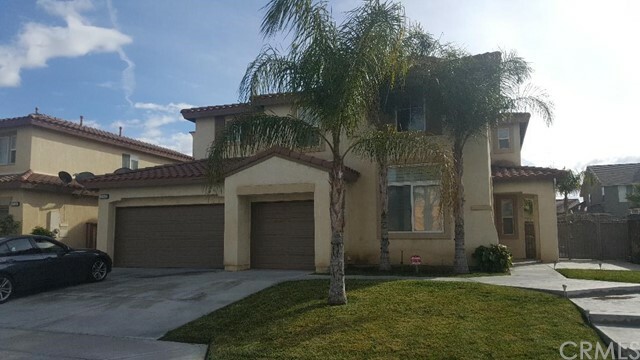 "Two story single family residence located in a desirable San Jacinto neighborhood. 6 bedroom 5 bath 3600+ square foot home with swimming pool to complement the backyard. (See Agent Remarks)"
"One acre! Fully remodeled! 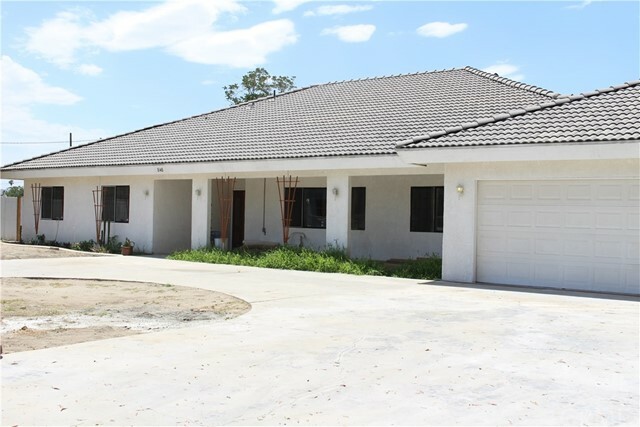 3 bedroom 2 bath with new 2 car garage on fenced and cross fenced acre lot. Very private. Lots of tile in remodeled kitchen with island and all new appliances." 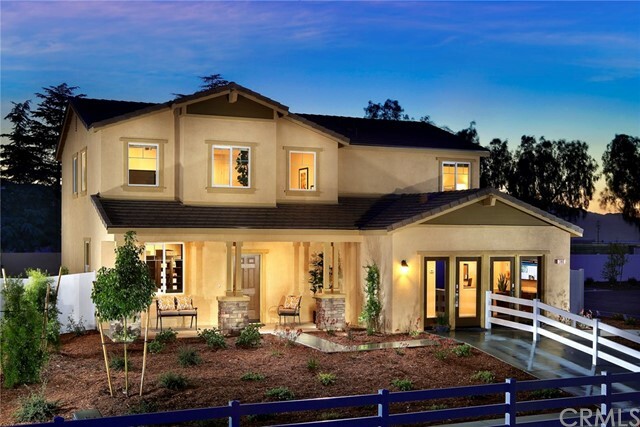 "Beautiful, former model home, features 5 Bedrooms and 3 bathrooms! Immaculate and shows pride of ownership. Stone gas fireplace in family room with custom built-in book cases. Maple stair rails, maple kitchen cabinets, jetted tub in master, tile floor in bathrooms, upgraded countertops and backsplash. Cast iron sink in laundry room, recessed lighting...and much more. Must see to appreciate! Great neighborhood with private park." "POOL HOUSE TURNKEY PERFECTION! 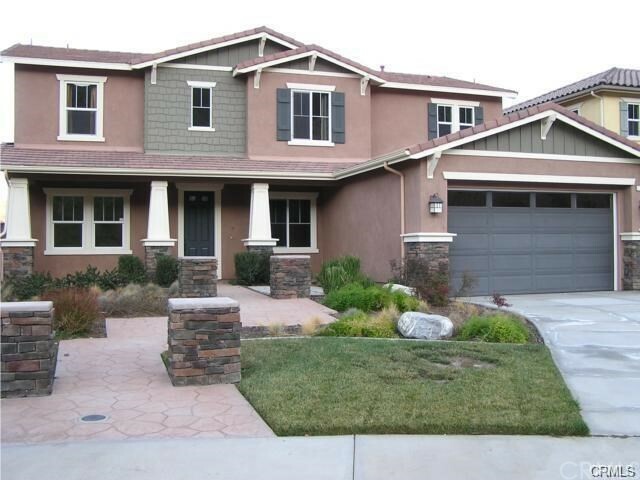 5BD,3BA, with a 3 car garage, double door main entry leads to an elegant spiral staircase. 1 bedroom and a full bathroom are located downstairs, large Kitchen with gigantic center island and media niche, huge media/game room,pre wired for surround sound upstairs, high ceiling formal living room, His and Hers walk-in closets in master bedroom. 3,327 SQ-FT Jewel includes: designer paint, designer carpet, custom tile,plantation shutters,high end lighting fixtures and ceiling fans throughout, massive African Slate tiled balcony off the master Bedroom overlooking pool and spa, cozy custom fire pit with seating area, expansive custom stamped concrete, huge patio cover includes, ceiling fan, outdoor lighting, pre-wired for outdoor speakerst, iron gates with block walls enclosure for your pet, and stepping stone grassy oasis behind the wrought Iron gates completes the fabulous back yard experience. Just like a model home ready to move in!" 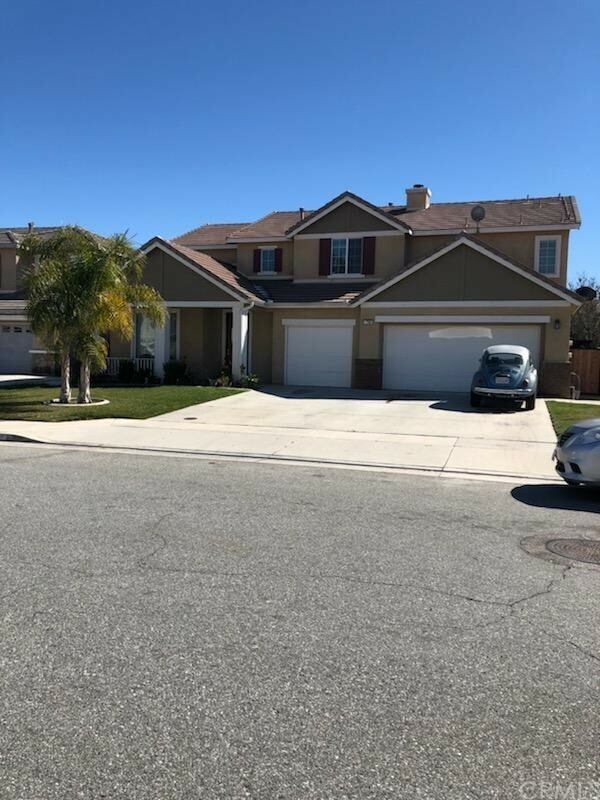 "One of a kind ,pride of ownership ,great location ,fresh -looking and gorgeous, shows like a model home and more to mention ,best house in the neighborhood and community. 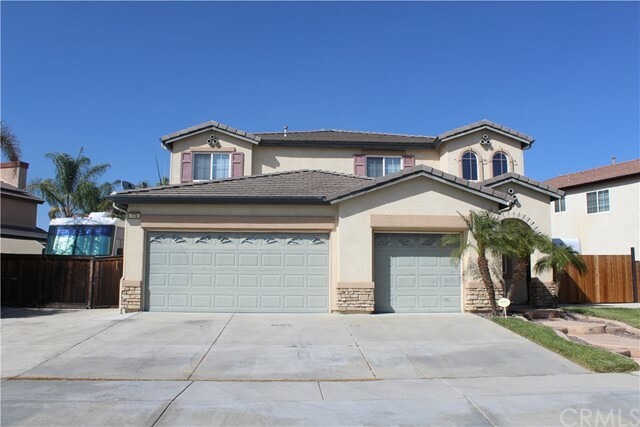 Two story home with 4 bedrooms 3 full bathrooms ,over sized 3 car garage and 2 fireplaces. Very high ceiling in the entry ,entry hallway, formal living and dining area . 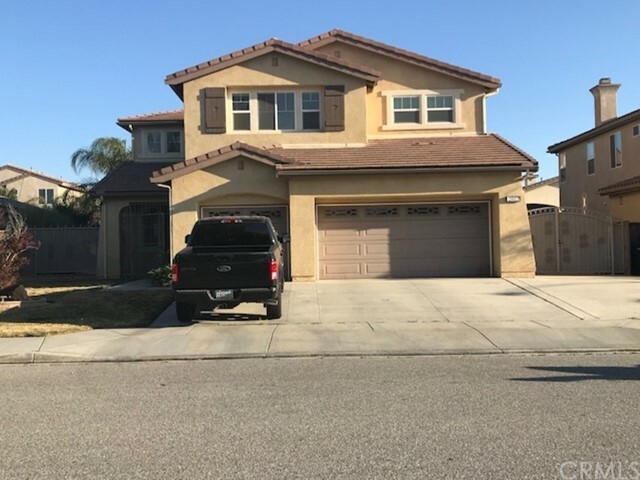 Open concept and spacious on formal living,formal dining area,family room and kitchen area.Entire house is freshly painted a little of year ago.Neutral color travertine tiles and newer carpet. Beautiful and custom-made kitchen cabinetry with stainless appliances. Bedroom and full bathroom downstairs best for guest or in-laws. Master bedroom is stunning with beautiful fireplace and it's own lanai. Master's lanai has a gorgeous mountain view perfect for couple's morning coffee or late afternoon wine.Fully upgraded Master's bathroom is huge with everything you can ask for,huge shower, lots of storage,counter tops and a private little office on the corner. Two other bedrooms has great sizes and natural light. Backyard has matured citrus that family can enjoy,spacious with private concrete fence throughout. City center,close to shopping and school.NO HOA and low taxes." "PRICE REDUCTION!!! 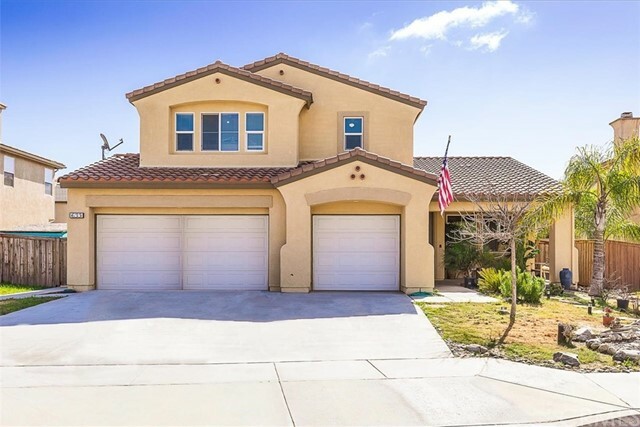 This Beautiful Two Story Home features 5 bedrooms, 3.5 baths and boasts a spacious open floor plan all around. Features include: high rise ceilings in the living room, beautiful kitchen & island with quartz countertops, tons of cabinet space, wet bar and pantry. First floor also includes two bedrooms, 1 full bath, powder room and 3 car garage. Upstairs you ll find the master suite with dual vanities, large soaking tub, shower and walk-in closet. The conveniently designed second floor also includes office space with built-in desk, laundry room and two more spacious bedrooms connected by a Jack & Jill bathroom. This home also features PAID solar panels. 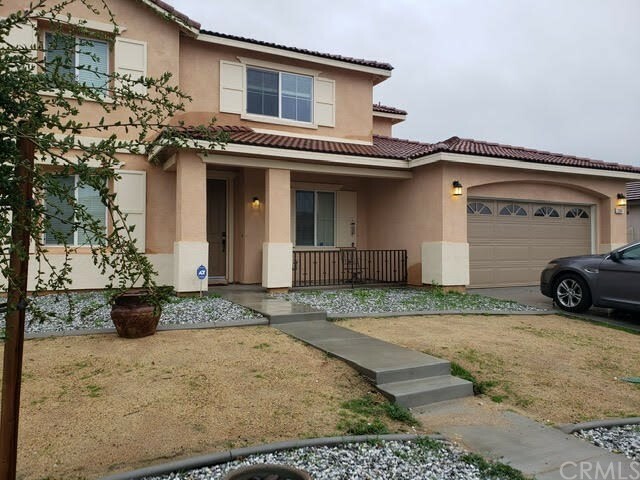 It is located in a great neighborhood near parks, schools, shopping centers, restaurants, CA- Route 79 and New Soboba Casino/Resort." "THE LYNDEN TRAILS COMMUNITY! Exceptionally large 3,391 Sqft home with a Chef friendly kitchen complete with cabinets , island and loads of storage. Downstairs features one bedroom and bath. Upstairs features a huge Bonus/Loft area as well as 4 Spacious Bedrooms.Double doors take you into the Master Bedroom Master bath has separate shower stall and tub, his and hers sinks and a large walk in closet. Two car garage, and No HOA!!!! 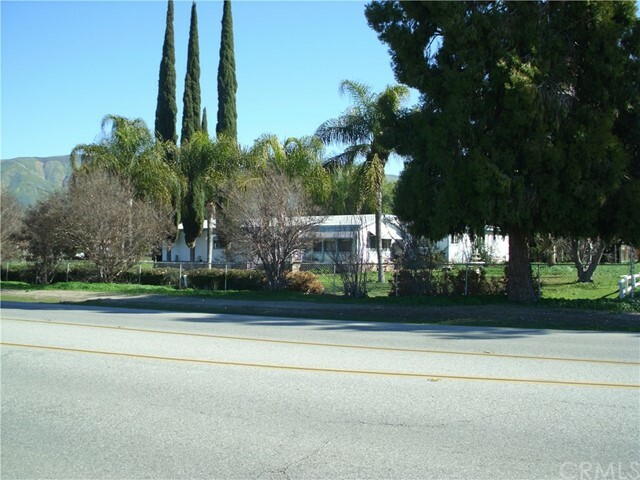 You are just a short drive to Hemet Valley Mall, Sobaba Casino,Hwy 74 and 79." "Pride of Ownership! This well maintained home has 3 bdrm, 2 bath, engineered hardwood flooring in all rooms except entryway, laundry & kitchen which have tile floors. Kitchen & both baths have granite countertops. Cabinets throughout have been recently refurbished. Guest bath has large walk-in tiled shower with 2 massage jets and custom countertop cabinets. Master bath has large walk-in tiled shower & steam room combo & a custom countertop cabinet. Master bedroom has walk-in closet with custom built-in cabinets & drawers. 3rd bedroom has been converted to a den (no closet). Ceiling fans throughout. Double car garage has several custom storage cabinets & a workbench. The single car garage has been converted into 2 separate rooms: 1st is an 11x20 office with built-in book case & storage along with a dry sauna; the 2nd is 11x5 storage room with metal storage cabinets. There is a large gated garden wall patio with 2 pergola patio covers in the front along with several block planters. The rear of the house has 1 pergola patio cover & 1 large solid roof covered patio with lights and a fan. The backyard has wood planters, 3 fruit trees and a separate fenced/gated rose & palm garden with a water feature. Both front & backyard have automatic sprinkler systems. There are many upgrades throughout the home." "Emaculate move in Ready home in a great neighborhood." "SOLAR INCLUDED IN PURCHASE, NOT LEASED! NO HOA! 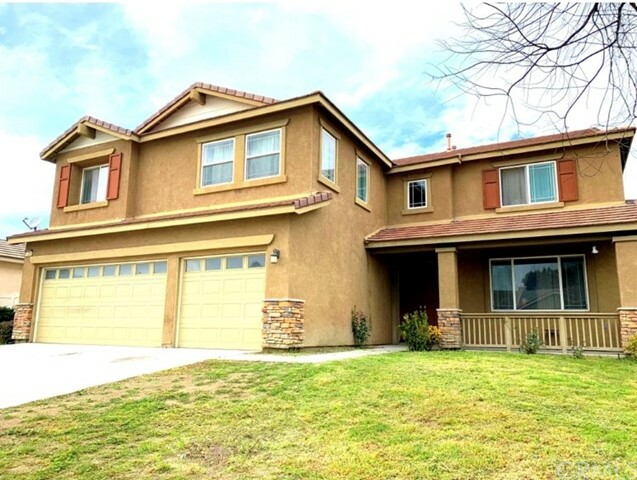 This two story home features a spacious master bedroom and bath upstairs. The master suite includes generous storage space, large walk-in shower, dual sink vanity, enclosed water closet and all-season walk-in closet. This is an integral part of the family space that includes 2 bedrooms and a bonus room. Also the laundry room located in this well designed space provides added convenience. The bedroom and full bath on the first floor is perfect for family or friends who visit. Tucked off the entry is an Office hideaway. Entering from the garage you will walk directly into the kitchen. The kitchen includes an island with stainless steel sink, granite counter tops, 42 Shaker style cabinets and dishwasher along with a walk-in pantry. The Great room, dining room and kitchen across the back of the home connect you to the back yard. Energy efficient appliances, tankless water heater, LED lighting, extended luxury vinyl plank flooring and Solar included." "BEAUTIFUL HOUSE LOCATED CLOSE TO THE MOUNTAIN, EXCELLENT LOCATION, EXTREMELY CLEAN AND WELL TAKE CARE"
"Very nice beautiful property,with a formal dinning area,this beautiful home has one bedroom and half bathroom downstairs.Nice living room and open floor plan to the kitchen. All the other room are upstairs,big master bedroom with master bathroom, and a comfortable loft upstairs. Come see it, fall in love, make an offer and move into this with beautiful home with tile flooring around the house." "Welcome to this exciting, light and bright, move-in ready, family sized home. Special features include the chalkboard pantry door, large walk-in pantry, gourmet kitchen, above ground garden spaces, and potting shed or kids clubhouse just to name a few. An updated farmhouse style kitchen with center island opens up to a spacious family room. The kitchen cabinets have deep drawers with soft close hardware including the hidden drawers in the island. Don't forget to check out the awesome pantry as well. There's also a formal dining and living room and a main floor bedroom that makes a great guest room or home office. Upstairs are 3 secondary bedrooms that share the common bath and a huge master bedroom with view balcony to enjoy the sunset or your morning coffee. The master bath has a large soaking tub, walk in shower, dual vanities and a large closet. The back yard is a gardener s paradise with numerous raised planter boxes for all your veggies and a potting shed that would also make a great play house for the little kids. In addition there is a nice playground style jungle gym to keep the kids busy. 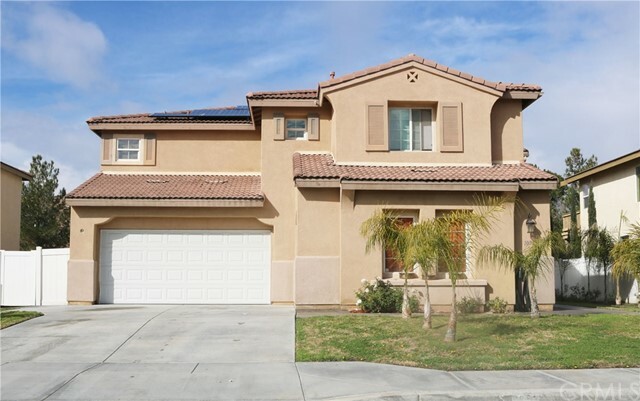 This wonderful home is close to freeway access, schools, parks, shopping and it's located in a clean, safe neighborhood. Priced to sell!"